Last week we discussed skincare tips to get your glow back after the summer. If you spent a lot of time in the sun or slacked off on your hair care routine over the summer, chances are you're left with dry, dull hair. Follow our tips to replenish hair with moisture and shine. First things first...when is the last time you got a haircut? If you can't remember and your split ends are out of control, then it's time to book an appointment! While you're there, ask your stylist about a deep conditioning treatment. If you have color treated hair, you may want to think about darkening the color for fall or getting a gloss treatment to restore shine. If your hair is super dry, you may want to switch over to a moisturizing shampoo and a deeper moisturizing conditioner until you see improvement. When applying conditioner, focus on mid-shaft to the ends. Your roots already get moisture from your natural oils. A hair mask, like Alfaparf Semi Di Lino Reconstruction Reparative Mask, provides intense moisture to rebuild and strengthen hair. Another option is a hair oil or serum. The key is to find something that won't weigh your hair down but still provides enough nourishment. For ultra dry hair, we recommend Phyto Subtil Elixir Intense Nutrition Shine Oil. When used before shampooing your hair, this weekly treatment restores shine and softness. A great lightweight treatment for all hair types is Rock Your Hair Moringa Dry Oil Mist. Apply it to damp or dry hair to repair split ends, restore shine and smooth your hair. Ease up on the heat. 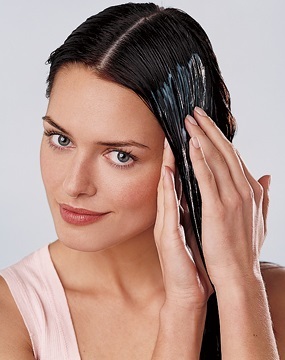 Rinse your hair with cool water to seal the cuticle, helping hair look healthier. Watch the heat dial on your styling products too. Use just enough heat to for your hair type, not the highest setting available. Replenishing your hair after the summer is easy with moisturizing treatments, detanglers and cutting down on heat treatments.